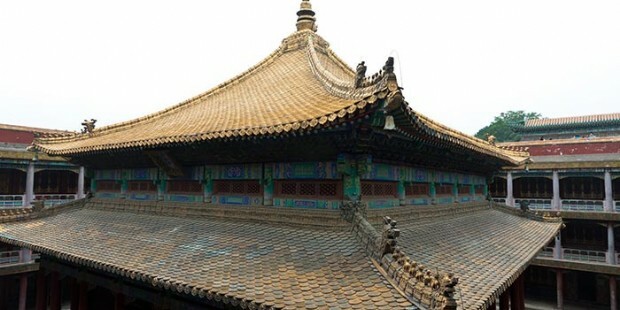 Note: This tour not only enables you appreciate the most highlighted places of interest in Beijing to get to know ancient Chinese history and culture, also you will have a pleasant trip to the famous summer retreat Chengde Mountain Resort. 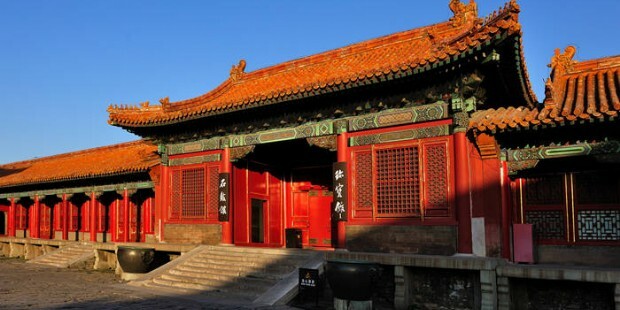 This tour not only enables you appreciate the most highlighted places of interest in Beijing to get to know ancient Chinese history and culture, also you will have a pleasant trip to the famous summer retreat Chengde Mountain Resort. Welcome to Beijing! 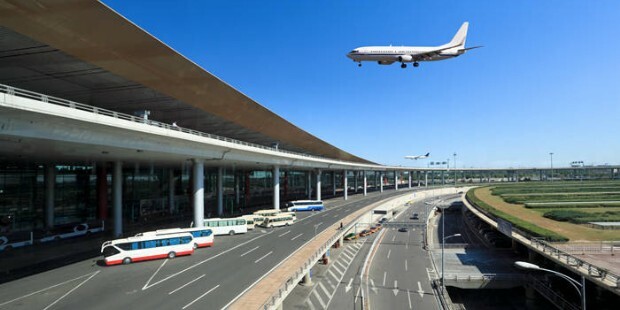 Our guide will meet you at the arrival hall of Beijing Capital International Airport and then transfer you to the hotel for check in. Feel free for leisure for the rest of the day. Today your sightseeing will begin with Tiananmen Square. Our guide will pick you up at from your hotel and transfer you to Tiananmen Square. As the largest public square in the world, Tiananmen Square can hold over one million people. It is often considered as a national symbol in China.Its solemn atmosphere and grand construction are what to see there. The next scheduled destination will be the Forbidden City. 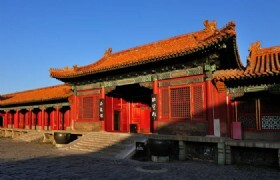 Forbidden City, also called Imperial Museum, was the imperial palace for emperors during the Ming and Qing dynasties. 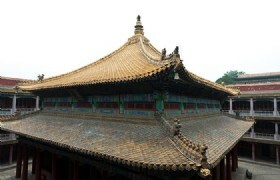 As the best-preserved imperial palace in China and the largest ancient palatial structure in the world. You will be amazed by the magnificence of royal architectures and numerous imperial treasures in the Forbidden City. Afterwards, you will have a relaxed tour at Hutong and Siheyuan. Hutongs are alleys formed by lines of Siheyua and Siheyuan are traditional courtyard residences for local people. Hutong and Siheyuan are important cultural elements of old Beijing, and you will get to know Beijing local life and culture by visiting these places. 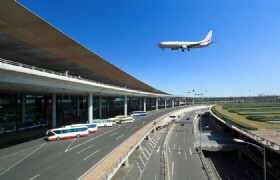 Yandaixiejie will be arranged for the next destination. Yandaixiejie is a famous featured ancient street in Beijing. There are numerous stores and shops lining on both sides of the street selling various kinds of antiques and souvenirs. Tonight you will have the tasty Beijing Roasted Duck for dinner. After dinner, you will enjoy an excellent Kungfu Show at Red Theater. After the show, our guide will transfer you back to the hotel. 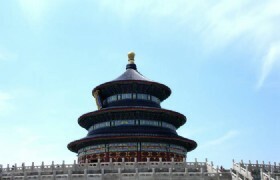 This morning we will go to visit Temple of Heaven at first. 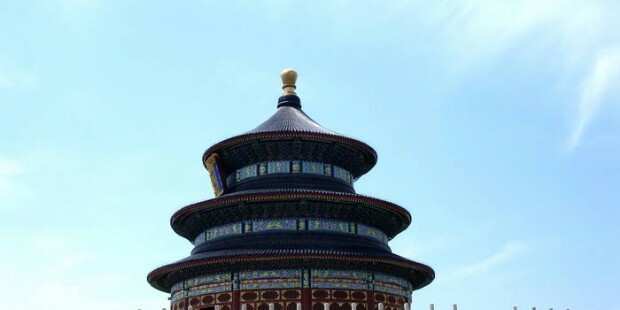 The Temple of Heaven is a complex of religious buildings situated in the southeastern part of central Beijing, which was visited by the Emperors of the Ming and Qing dynasties for annual ceremonies of prayer to Heaven for good harvest. You will admire its grand size of architectures and profound cultural connotation when visiting the Temple of Heaven. Then we will proceed to visit Summer Palace. As the largest and the most well-preserved royal park in China, Summer Palace is a must-see attraction in Beijing. Famed as “The Museum of Royal Gardens”, Summer Palace attracts tourists for its natural beauty and cultural interests. 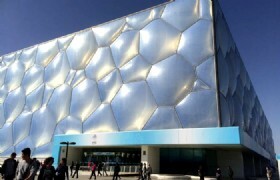 Next we will go forward the appreciation of the Beijing Olympic Stadium for its uniqe modern design and humanistic architecture. Afterwards, our guide will bring you back to the hotel for rest. 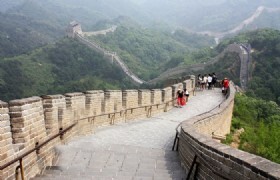 This morning, our guide will pick you up at the hotel and bring you for the hiking at Badaling Great Wall. 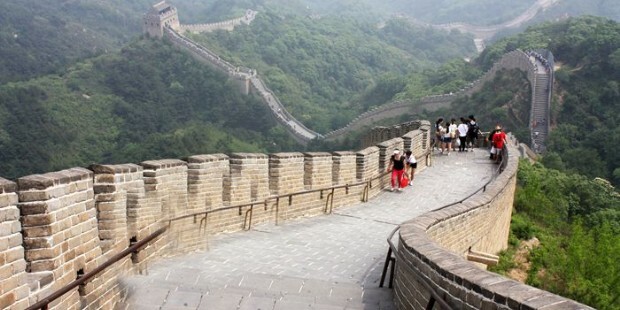 As a symbol of Chinese civilization, the Great Wall is a must-visit attraction when travel to China. Built during the Ming Dynasty (1368-1644), Badaling Great Wall is the most well-preserved and the most visited section of the Great Wall of China. The winding wall on the steep mountain range with its solid construction and beautiful natural environment will surely amaze you. Next our guide will transfer you to visit the Sacred Way inside Changling Tomb. The Sacred Way in Ming Tombs is the best preserved and complete of its kind. This Sacred Way is consisted of stone memorial archway, stele pavilion, stone animal statues, pillars and other buildings. Walking along the Sacred Way you will experience the sacred and serene atmosphere. Then we will proceed to visit Dingling Tomb. The Dingling Tomb is the mausoleum for Emperor Zhu Yijun, the 13th emperor of the Ming Dynasty, as well as his two empresses and one concubine. Dingling Tomb is one of the great three largest tombs among the Thirteen Ming Tombs and is the only one to be excavated. Surrounded by mountains and forest, the Dingling has serene and peaceful environment. With its magnificent buildings and exquisite decorations, Dingling Tomb is fine example of Chinese ancient imperial mausoleum construction to appreciate. 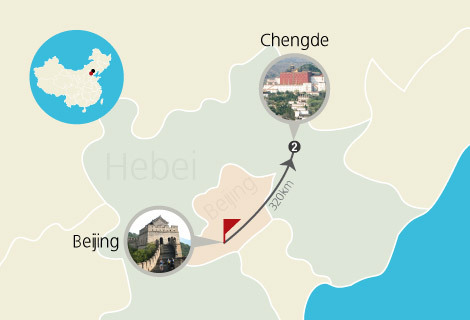 After breakfast, our guide will pick you up and drive to Chengde Mountain Resort which is located in Hebei Province. Mountain Resort of Chengde is the most famous summer retreat in China. Built in the Qing Dynasty, the Mountain Resort was specially constructed for the royal families to avoid the hot summer. With a collection of gardens, pagodas, temples and palaces of various architectural styles, Chengde Mountain Resort is characterized with appealing scenery and elegant settings. After lunch, we will move to visit Xumi Fushou Temple and Putuozongcheng Temple, two of the Eight Outer Temples. The Eight Outer Temples are located on the north of Mountain Resort. Constructed into a fusion of Chinese and Tibetan architectural style, Xumi Fushou Temple was first designed in 1780 to celebrate the 70th Birthday of Emperor Qianlong and built for Penchen Lama the VI who came to Chengde from Tibet to convey his congratulations. Putuozongcheng Temple is also called Little Potala Palace. With a blending of Chinese and Tibetan styles, Putuozongcheng Temple used to be a location for important religion meetings and ceremonies. 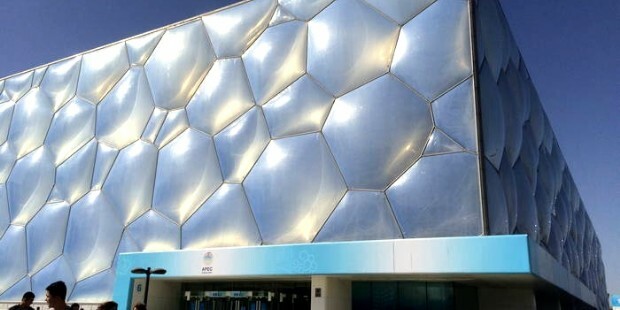 Afterwards, our guide will transfer you back to Beijing and drop you at your hotel. After breakfast, our guide will transfer you to the airprot for your departure flight. Wish you a pleasant trip back home!